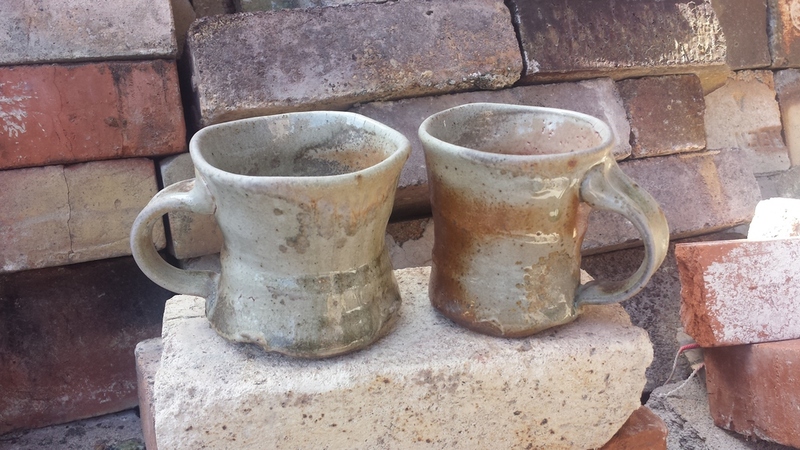 These are the load, firing, and unload pictures from our February firing. Mostly I take these images for documentation, so we can remember and learn from our successes and failures. If you have any questions, or any advice or ideas to offer, shoot me an email at skennedy@skennedyart.com. Tell me what you think! 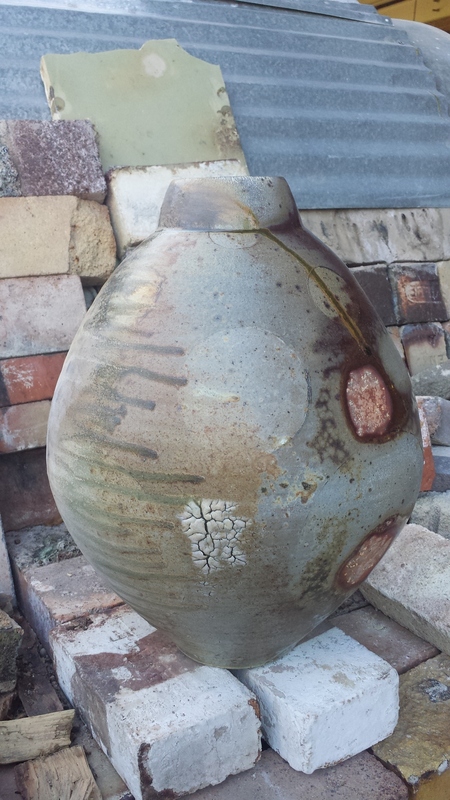 This space is reserved for iron bearing clays, which look better when fired to cone 8 or 9. We kept this layer loose, so that ash and flame could get through to Niko's big jar. Since we only fire for about 18 hours, in the days before we fire, we have a campfire running, to build up ash. You can see how the ash is settling on the top half of Niko's big jar. Chris Gray and Jillian Cooper joined us for the firing. 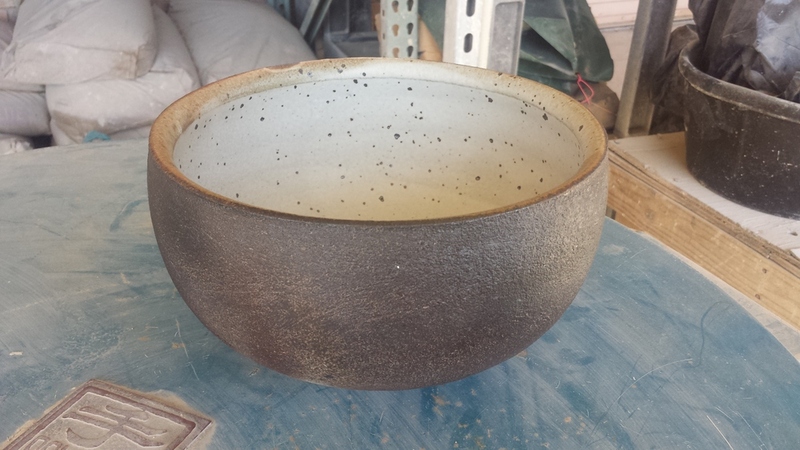 Click here to see what it looked like after the first firing.